You don’t need your broker to place an order when the stock market is closed. Just because the stock markets close at 4 pm does not mean that trading stops. Thanks to the ECN, or Electronic Communication Networks, you can still place trades through your online trading account. There are some unique challenges traders face when using the ECN. Because the market is closed, you must enter your trades as limit orders, and you cannot place any conditions on your orders, such as All-or-None. Electronic Communication Networks. or ECNs, provide investors with the ability to buy stocks during periods when markets are traditionally closed. Open an online stock trading account with a broker that offers ECN trading. Find out your brokers after-market trading hours schedule. Different ECNs set their own hours, so make sure your brokers time frame coincides with the ECN's operating hours. The best ECN bid and ask quotes are only available with a Level II trading platform, so select a trading platform that utilizes the Level II quote system. Select a stock you want to buy. Wait until after the market has closed to enter your trade. Although each stock brokerage firm has their own trading platform, the trade information you must enter is the same. Open your Level II trading account platform. Enter the stock symbol and the number of shares you want to buy. Find the bid and ask information displayed on your Level II price window. Enter your trade as a limit order along with the current best price. Find the order routing block and select either “pre-market” or “destination.” You must select one of the two options to have your trade placed. Otherwise, the order will be held and not entered until the market opens the following day. Select an ECN from your brokers list and route the order by clicking on the trade button. Do not be surprised if the order is not immediately filled. Trading volume is greatly diminished when the market is closed and it could take a while for your order to be completed. Trading can be illiquid when the market is closed. You may have to adjust your price if the stock quote moves too far from it. Keep your trading window open until your order is filled. Check your account when you receive your trade confirmation to be sure the stock is listed in your portfolio. Report any trade problems to your brokerage firm as soon as possible. Professional traders and large institutions trade when the market is closed. Their large trade orders can make a stock's price fluctuate wildly and you could end up paying more for your trade than you intended. 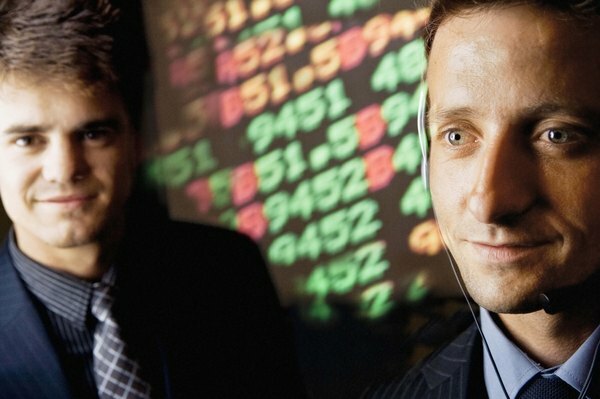 Investopedia: What is After-Hours Trading and Can You Trade at This Time? Charles Schwab: Should After Hours Trading Be Part of Your Stock Market Strategy? What Time Do Trading Futures Close? What is a Limit Order in Stock Trading? What Is a Stop-Loss Order to Sell? Is Options Trading Reported to IRS?